Home » book , book offer , discount on book , LIFE IS WHAT YOU MAKE IT » The Book : Life is What You Make It. at Rs.54 only. The Book : Life is What You Make It. at Rs.54 only. 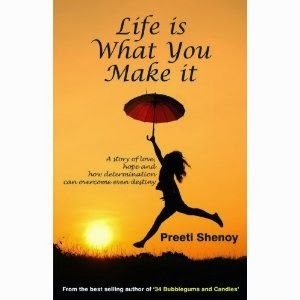 Here you can get The Book: Life is What You Make It, of Preeti Shenoy at just Rs.54 only, worth of Rs.120. Please Hurry to take the advantage of this opportunity. Make the final payment of Rs.54 only.